The State of HR Transformation Study 2017 shows that while having a defined service delivery model has an impact on user experience, only 40 percent of respondents have confidence in their program design. Let's find out how design thinking can be utilized to improve HR effectiveness through defined models of HR. ‘America's Favorite Ketchup,' Heinz was famous for its thick texture, but its customers struggled while dispensing it from the glass bottles. Empathizing with the challenges of their customer, Heinz in 2002 changed the packaging of the ketchup. It introduced the ‘upside-down’ squeezable plastic bottle, consisting of an opaque red bottle with a wide white cap located at the bottom. This new bottle allows the ketchup to be dispensed more easily than was possible with the glass bottle, and permits the use of more of the ketchup in the bottle, as the contents will settle on top of the dispensing valve. Heinz with this new packaging made the lives of its customers easier and enhanced its customer experience. Heinz’s story indicates and strengthens the importance of design thinking in transforming the user experience which also holds true for HR. HR has moved ahead from being a support function to a strategic function, but the primary aim of HR has always remained the same. HR is responsible for making the lives of employees easier. But how far have organizations been able to utilize design thinking approach in HR? 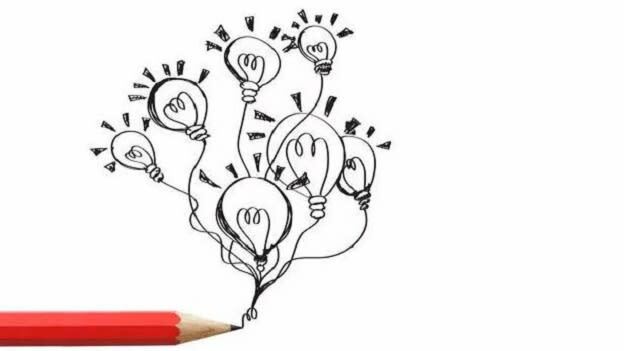 And how can they leverage design thinking to enhance HR effectiveness? Design thinking in HR best fits in defining HR service delivery. 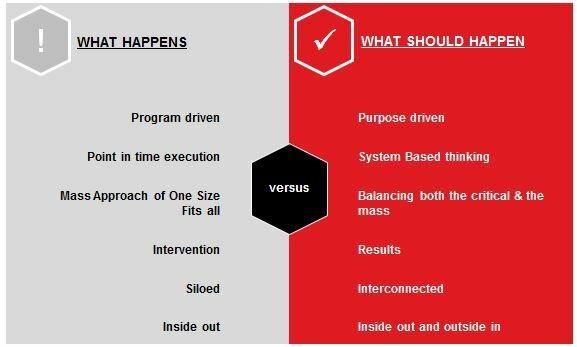 It is also called the HR Business Model in many organizations, and it is a pointer to HR's awareness of business needs and how that feeds into the design of HR transformation. HR Service Delivery Model is what defines how an HR organization provides services to its customers, the employees. It encompasses the full spectrum of HR activities from strategic services to executives to day-to-day support for routine HR transactions, data changes, and employee inquiries. And this HR service delivery model is anchored on user experience. The State of HR Transformation Study 2017 shows that ‘Defined Service Delivery Model" has an impact on user experience. In fact, it also says that having a Defined HR Service Delivery with clearly thought out HR Technology Strategy in today's digital age further accentuates this impact. 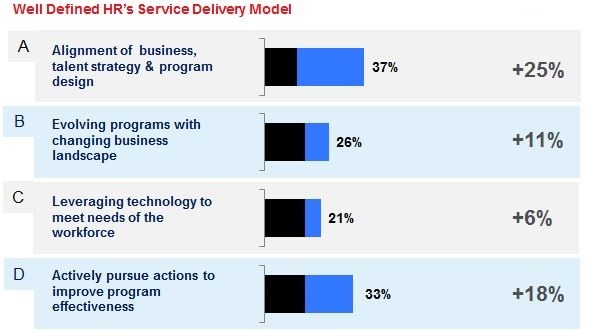 But while having a defined service delivery model is crucial, just over 40 percent of respondents have confidence in their ‘Program Design’ and, ‘Program Execution’ scores even below 40 percent, as per the study. 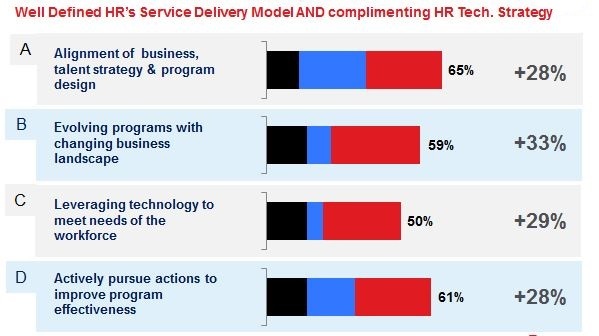 The level of satisfaction for a current HR service delivery model is so low because the current models are program driven and siloed and not purpose driven and interconnected. This indicates a need to improve investments and focus on plans for delivery of programs and tracking how delivery is happening followed by finding ways and means to improve related metrics. The current state of HR effectiveness creates a need to understand how HR can leverage design thinking to enhance user experience. 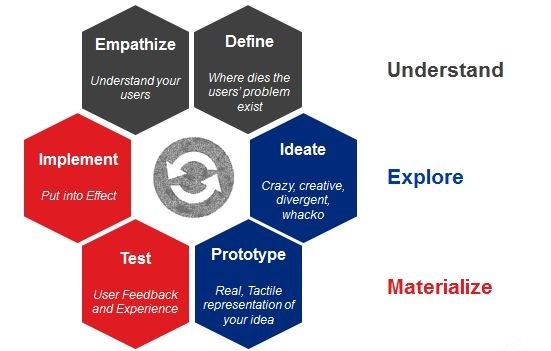 By empathetically understanding the users with a human-centric point of view, the user’s problems have to be defined. After gaining clarity and building an understanding, the next step is to explore. 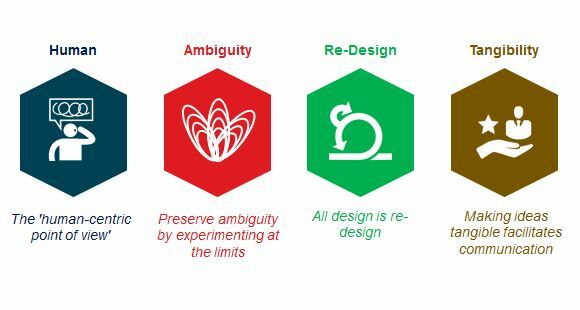 ideate and prototype to remove ambiguity and experiment with more creative and divergent solutions. Lastly, materialize your plan and put it into action after testing user experience and obtaining feedback. For HR this means, first having clarity on the “Talent Outcomes and Programs” and then thinking through the HR Service Delivery Model. 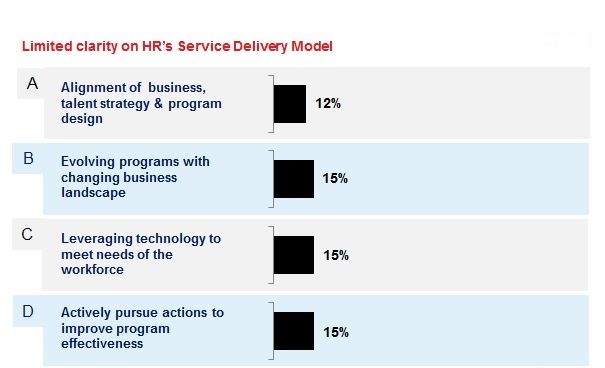 And then the last step would be aligning the goals of HR Service Delivery Model to the HR Technology Strategy. Following these steps will have a disproportionate impact on overall satisfaction as this will give the organization an ability to execute a plan and monitor the goals. For gaining clarity on future talent priorities and understanding the state of current HR satisfaction in the APAC, Alight has rolled out a survey, The State of HR Transformation Study 2018. Join Alight in the journey of capturing relevant insights that will eventually help you in reshaping your HR strategies. Click here to participate.